The benefits of vitamin D3 may include reducing one's risk of developing early age related macular degeneration. The conclusion of recent research involving 1313 women between the ages of 50-79 stated that: "High serum 25(OH)D concentrations may protect against early AMD in women younger than 75 years." A second study published in the Archives of Ophthalmology May 2007 also concluded that "This study provides evidence that vitamin D may protect against AMD. Additional studies are needed to confirm these findings." 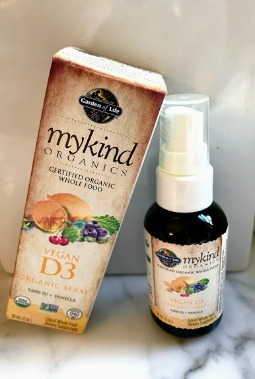 Although this is good news, you may be surprised like me that Vitamin D3 benefits are so numerous and so well researched that to ignore this information could indeed affect your health. The Vitamin D Solution: A 3-Step Strategy to Cure Our Most Common Health Problem is perhaps one of the most important health books that I have read. This vitamin (actually a hormone) is critical to everyone's health and the solution is so simple and inexpensive. Dr. Holick is a professor of medicine, physiology, and biophysics at Boston University Medical Center. He also serves as their director of General Clinical Research Unit, The Bone Health Clinic and the Heliotherpay Light and Skin Research Center. He is also the recipient of the Linus Paulding Institute Prize in Health Research. Prevents certain cancers, such as prostate, pancreatic, breast, ovarian and colon; prevents infectious diseases and upper respiratory-tract infections, asthma, and wheezing disorders. 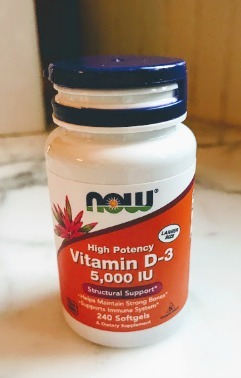 Prevents seasonal affective disorder, premenstrual syndrome, and sleeping disorders, elevates the sense of well being"
There are more reasons than one to ask your doctor to have your vitamin D levels checked at your next physical. Find out if you are deficient and if so if you should supplement with Vitamin D supplements. or get some safe sun exposure. I recently had my levels checked by my doctor and found them to be in a good healthy range. I take 2,000 I.U of D3 daily in a gel cap. They are small and easy to swallow. One way to increase your Vitamin D levels is through safe and sensible sun exposure. According to Dr. Halick, "Our richest source of Vitamin D is the sun. Most of us need only a few minutes a day of sun exposure during the summer months to maintain healthy vitamin D levels throughout the year." Always protect your eyes, but expose 25% of your body in order to get the benefits of vitamin D production from the sun. Dr. Halick does not advocate tanning, but recommends that you only get enough sun exposure to establish and maintain healthy vitamin D levels. According to the U.S. National Institute of Health, "Ultraviolet (UV) B radiation with a wavelength of 290–320 nanometers penetrates uncovered skin and converts cutaneous 7-dehydrocholesterol to previtamin D3, which in turn becomes vitamin D3." Vitamin D from exposure to sunlight during the spring, summer and fall can be actually stored in the body. Dr. Halick recommends that the sun exposure needs to be between the hours of 10:00 AM to 3:00 PM to get the right amount of UV-B. At least 25% of your body needs to be exposed, but he recommends protecting your face ( and I will add your eyes). "1. Estimate how long it takes in the particular conditions in which you will be sunning yourself to get a mild pinkness - known as one minimal erthemal dose or 1 MED. 2. Then without applying sunscreen, expose your arms and legs for about 25 percent to 50 percent of that length of time. I have calculated that that amount of sun exposure two to three days a week enables the body to make enough vitamin D to stay healthy." Dr. Holick recommends that you do indeed need to protect your skin with a sunscreen, preferably SPF30 after getting the above sun exposure. The more skin that is exposed to the sun, the more vitamin D will be made. An example he gives is that if you estimate that it will take an hour for you to get 1 MED, then you can spend about 15" - 30" in the sun without protection. Never does he recommend that anyone get a mild sunburn. Remember that the time of day influences these numbers - if you are getting your exposure at 10:00 AM you can stay in the sun longer because the sun is less strong. The subject of skin cancers and deadly melanoma is addressed in his book if you want to know what his research says about these topics.